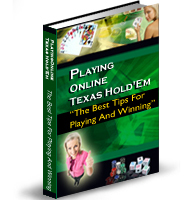 You are here: Home / Online Poker Strategy / Is Playing Poker For A Living Easy? Is Playing Poker For A Living Easy? The game of poker has seen such a rise in popularity lately that it can be seen all over television and is talked about by millions of people around the world every moment of every day. Most people who play the game do so to have fun and the chance to make some extra money. However, there are a fair number of professional poker players who play the game for many hours every day for a living, whether on the internet or in the casino. To the recreational player who has won a few dollars in a short amount of time playing poker for a living might seem like an easy way through life. This is not the case. Playing poker for a living is far from easy and has several drawbacks to go along with its benefits. The problem for the person who plays casually is that it is very possible and sometimes quite easy to win a lot of money when gambling in the short term. It is when you play the game for many hours day after day that the laws of probability kick in and you start to suffer from massive down swings along with your upswings. This is not to say that you can’t be profitable when playing poker over the long run. In fact, poker is one of the few forms of gambling where you can achieve a large advantage because you are playing against other people rather than against the house who has a fixed edge. Making sure you have the proper bankroll is critical because if you do not leave yourself room to grow your bankroll in addition to your living expenses then you will be stuck grinding out the same stakes without the ability to move up and make more money in the future. Unfortunately, many people who play poker for a living are also husbands or wives with children and houses who are forced to grind out their living month by month with little money left over. This is anything but an easy living. If you think you want to play poker for a living you need to check yourself out first. Make sure you are a winning player to start off with. Make sure you have the discipline it takes as well as the proper amount of money to fund your bankroll. Practice playing for a living even before you make the jump and make sure you are a winning player over several months. It is not uncommon for poker players to experience months where they are in the negative. You need to be able to get through these hard times in order to play poker for a living. Make sure you start your morning at the right time with a Westclox Alarm Clock. If that alarm clock fails you, give a Braun Alarm Clock a go.